Examination-2015, Stenographers Grade ‘C’ & ‘D’ Examination-2016 and Combined Higher Secondary Level (Tier-II) Examination-2015. The result of the Stenographers Grade ‘C’ & ‘D’ Examination-2015 will be declared on November 30, 2016. The examination was held on January 24, 2016, for recruitment of stenographer vacancies for grade C and grade D posts. 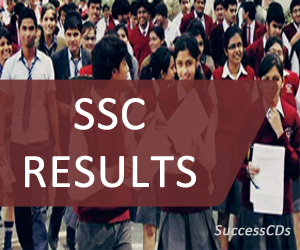 The SSC Stenographers Grade ‘C’ & ‘D’ Examination-2016 was held on July 31, 2016, for the recruitment of Stenographers grade C and grade D posts. The result of the examination will be declared on December 01, 2016. For detailed notification on SSC Stenographers Grade ‘C’ & ‘D’ Examination-2016 please click here. Also, the result of Combined Higher Secondary Level (Tier-II) Examination-2015 will be declared on January 2, 2017. The examination was held on September 18, 2015, for the recruitment of Postal Assistants/Sorting Assistants, Data Entry Operators (DEO), Lower Divisional Clerks (LDC) and Court Clerk posts.